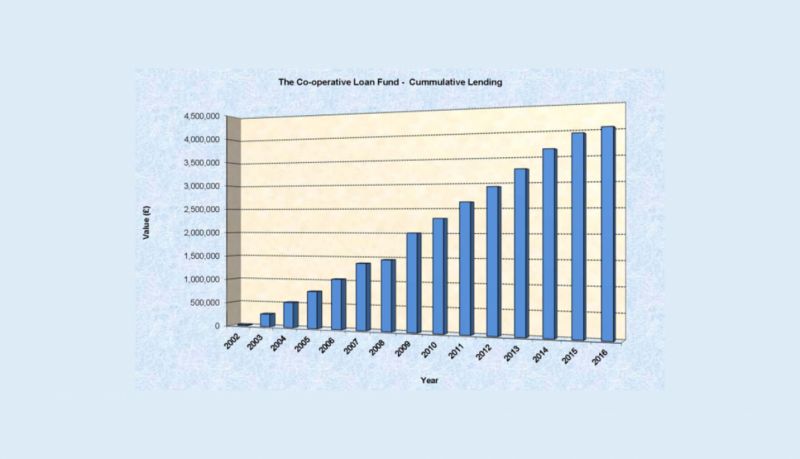 2015 was another good year for the Co-operative Loan Fund. We made six new loans to co-operatives totaling £287,000. Since the Co-operative Loan Fund started in 2002 we have lent nearly £4m to 142 co-operatives throughout the UK. When the loans are repaid the money is lent again to other co-operatives. Ten loans were fully repaid during 2015. At the end of the year the fund was worth £1.6m with just over £1.18m out on loan and £476,000 available to lend. The default rate on our lending has always been low (average 3%) and in 2015 it was less than 1%. This is despite the fact that the Co-operative Loan Fund deliberately lends to ventures that mainstream lenders would consider to be ‘high risk’. It shows that 1) our loan assessors have very good judgement and 2) co-operatives are generally more reliable than most small businesses. The Co-operative Loan Fund made a good operating surplus in 2015, which means that all of our donors’ funds were available for lending and were not spent on administration. The fund continues to be in demand, in the first quarter of 2016, four loans totaling £100,000 were released.